President Donald Trump’s corporate-heavy tax cuts are creating huge returns for many big-name businesses in the U.S., with many corporations not having to pay a single cent to Uncle Sam. At least 60 companies reportedly owed nothing on their federal taxes for the year 2018, according to research compiled by the Institute on Taxation and Economic Policy. That number is twice as much as the previous year’s findings. The report found that the companies identified by ITEP were collectively “able to zero out their federal income taxes on $79 billion in U.S. pretax income,” according to the organization, NBC News reported. Some corporations are even getting huge rebates due to the changes in tax code, with some getting hundreds of millions of dollars back from the government, despite earning billions of dollars in profits. Large corporations have for years been able to use tax loopholes to their advantage to lower their effective tax rates. But because the Trump tax law changes the official corporate rate from 35 percent to 21 percent, it has allowed more companies to reach the level of paying nothing to the government. “The specter of big corporations avoiding all income taxes on billions in profits sends a strong and corrosive signal to Americans: that the tax system is stacked against them, in favor of corporations and the wealthiest Americans,” the report’s author, Matthew Gardner, said. The examples of the savings and rebates these corporations are receiving are glaring. 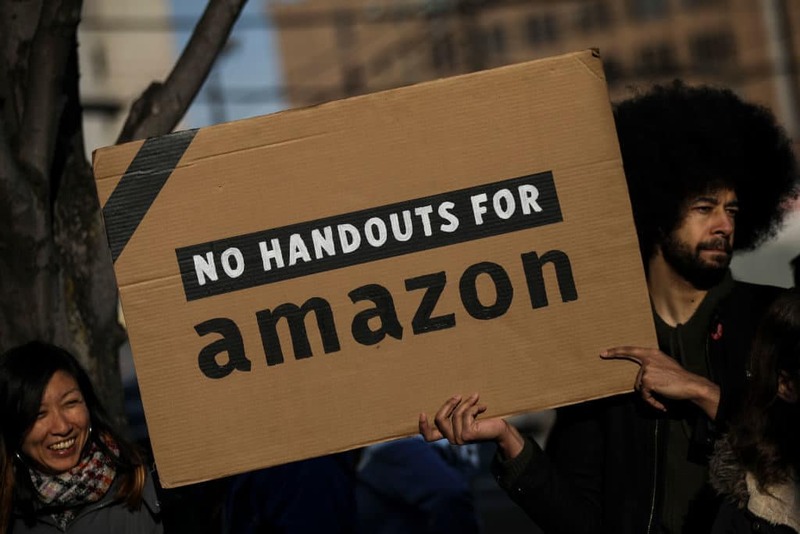 Amazon earned $10.8 billion in profits last year and received a $129 million refund from the government, for example. They weren’t the only ones. General Motors earned $5 billion and received a $187 million refund, while Prudential Financial earned $1.4 billion and got back $346 million — an effective corporate tax rate of negative 24 percent in the latter’s case, which means for every dollar they earned in 2018 they got 24 cents from the government. While corporations got an incredible gift from Trump’s tax reforms, the American people did not. According to the most recent IRS calculations, 2018 tax returns for the average American worker was lower than it was in 2017, before Trump’s tax policy was implemented. Collectively, Americans are so far seeing $6 billion less in their returns than they did the year before, according to reporting from CBS News.